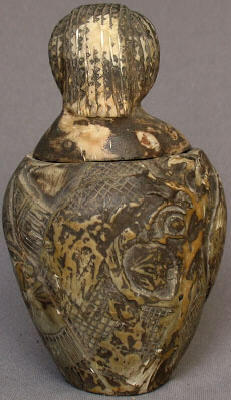 On auction are a very rare ancient Egyptian "Canopic Jar" from the Late Period (715-332B.C.). We acquired this item 3 months ago from a private collection and it was said that it was found in the Luxor area. Depicted on the jar stopper is Hapy (baboon) protector of the lungs. 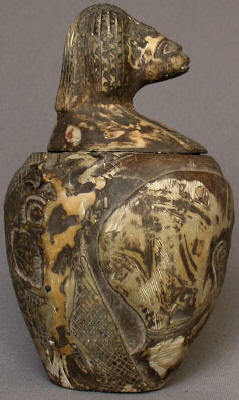 it has hieroglyphic inscriptions all around the base of the jar to include the gods Khnum and Anubis. it is a true rarity and seldom seen outside a gallery or musuem! 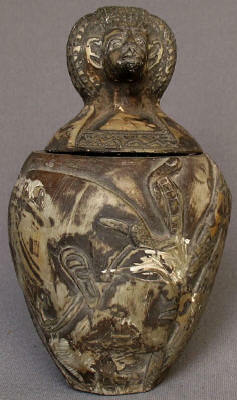 Do not miss this opportunity to acquire this canopic jar for your ancient Egyptian collection!! !